Diamond Dasher is a match-3 puzzle game featuring 3D diamonds. 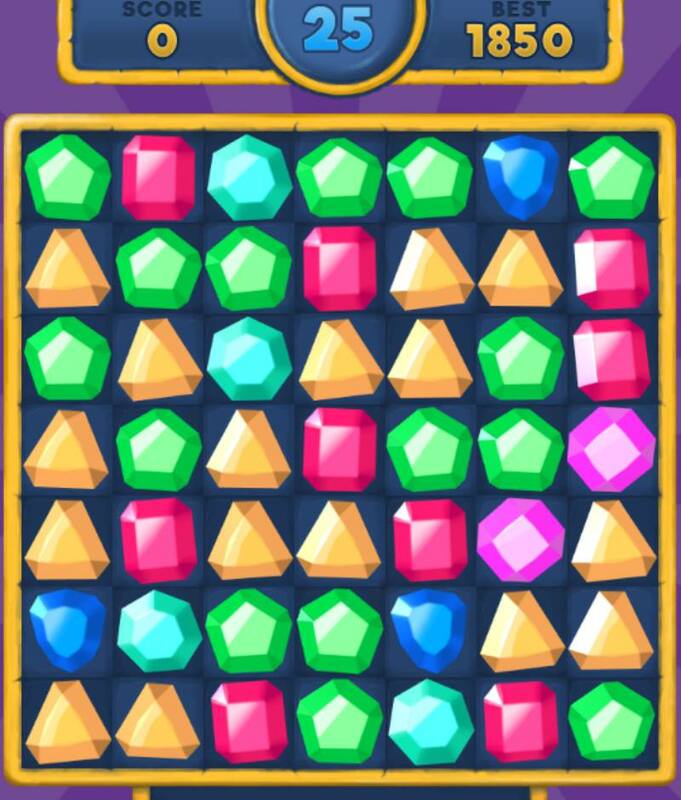 The goal is to connect three or more similar colored gems and reach the highest possible score in 30 seconds. This game was made on the Panda 2 platform. Despite having 2D and 3D elements, the game runs smoothly because they were rendered using Pixijs and Three.js plug-ins. The graphics, meanwhile, were created using Adobe Photoshop CC 2017. The upbeat background music and sound effects were produced using Logic Pro X and Korg M1.